How appropriate that today's card has December 25th on it as it is exactly one month till Xmas. Base card is Old Olive adhere a strip of the I Wish D/S paper 14.cm x 5.5cm the adhere the strips of die-cuts that where cut earlier in the directions on preparing the pack to make the cards. 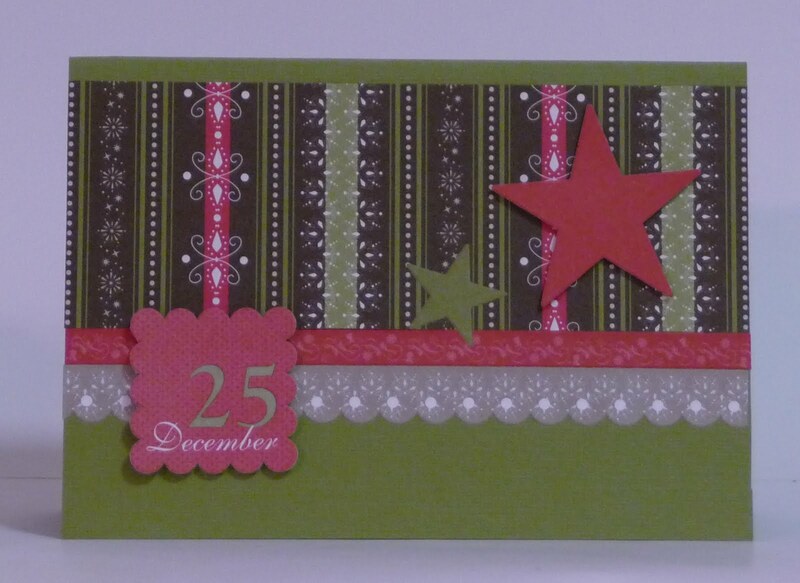 Remove the " sticky" with talcum powder adhere stampin dimensionals and adhere to card as show. Place the star die-cut one large red and one small green.